The beautiful city of Barcelona is not only host to a rich cultural history and streets lined with Gaudí’s masterpieces; the Catalan capital is also one of the top places to shop in Spain. With everything from unique vintage pieces to the very latest trends in high-end fashion, as well as souvenirs, gadgets and accessories, Barcelona has something for everyone, no matter your style or budget. What’s more, if you choose to stay in one of the many central Barcelona apartments, you’ll have many of the city’s shopping hotspots right on your doorstep! Barcelona is known to be one of the top cities in Europe for fashion, so it naturally follows that this buzzing metropolis is an undeniable hotbed for some of the biggest names in the business, including the likes of Gucci, Jimmy Choo and Louis Vuitton. Be sure to check out the famed Passeig de Gràcia and Avinguda Diagonal streets where these and more high-end stores await. Metro stops: Passeig de Gràcia (L2, L3, L4), Diagonal (L3 and L5), and Catalunya (L1 and L3). 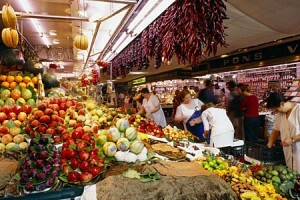 Maremagnum: Located in Barcelona’s Port Vell, the Maremagnum complex is sure to enchant any shopper looking for some typical Spanish styles. 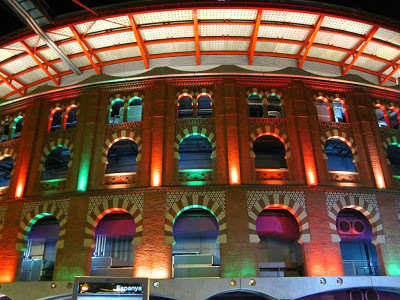 Not only will you have the chance to pick up the latest designs from more than 30 trendy stores, including the popular Desigual and Mango shops, but with restaurants overlooking the Mediterranean, an IMAX theatre and the Barcelona Aquarium just a few steps away, you can truly make a day of it here! Metro stops: Drassanes (L3) and Barceloneta (L4). Las Arenas: This bullfighting ring turned mall is one of the most famous commercial centers in Barcelona! The unique design of this complex makes for a different shopping experience as you choose from an array of well-known stores in which to splurge some cash. Pop into The United Colors of Benetton for the latest winter sweater or Miss Sixty for that perfect party dress, then complete your trip by stepping out onto the rooftop café area where you can enjoy some magnificent views of Plaça Espanya. Metro stop: Espanya (L1 and L3). El Corte Inglés: With everything from big names in fashion to home appliances, El Corte Inglés has it all. Renowned as Spain’s largest retail group, this department store began as a family-owned tailor shop, and has since then grown into one of the most popular spots for shopping in Barcelona. While you are likely to see quite a few El Corte Inglés buildings during your time in Barcelona, there’s one store in Plaça Catalunya that you just can’t miss! In search of some truly unique pieces to complete your favorite ensemble? 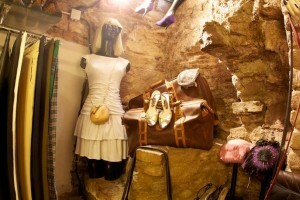 Well then, you are certainly in luck as Barcelona is home to some amazing boutiques. The neighborhoods of El Born and El Barrio Gótico are the setting for small shops, hidden in winding alleys, and are the ideal places to visit for those who enjoy stumbling upon distinctive and one-of-a-kind items. El Born: Losing yourself in this Barcelona ‘barrio’ almost guarantees that you’ll find those designs your heart has been seeking. Boasting some of the best antique and vintage stores in Barcelona, this area of the city makes for a brilliant shopping experience. The top streets to check out in El Born are Carrer de la Princesa and Carrer de l’Argenteria. Metro stop: Jaume I (L4). The Gothic Quarter: This historic Barcelona neighborhood offers the perfect mix of high-end fashion and unique boutiques! The area is home to the famed Portal de l’Angel street, lined with commercial stores like Zara and Stradivarius, and also has plenty of unique stores and art shops! 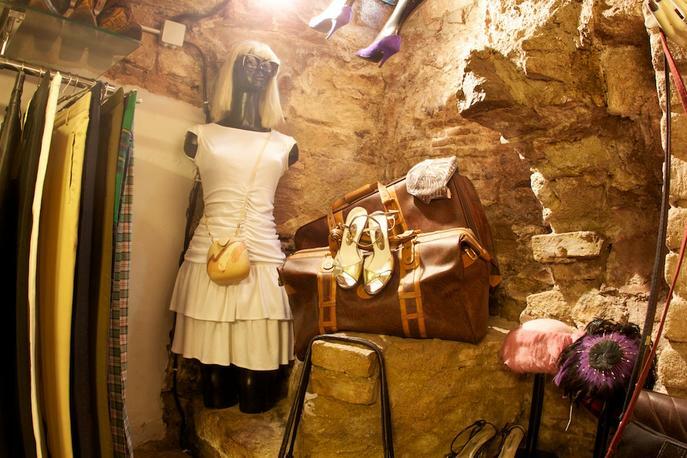 Don’t miss Carrer d’Avinyó, where you’ll find some of the most interesting and authentic purchases in Barcelona. Metro stops: Jaume I (L4), Drassanes and Liceu (L3). Els Encant Vells: This Barcelona flea market is the largest open-air market in the Catalan capital, and should not be missed! With trinkets ranging from classic watches to books and everything in between, you won’t be disappointed. Metro stops: Glories (L1) and Encants (L2). La Boqueria: After spending all day in the shopping paradise that is Barcelona, you should certainly stop by the famous Boqueria Market to stock up on your vitamins, and pick up the freshest ingredients for your Mediterranean-inspired dishes. With more than 100 vendors selling bright and colorful fruits, vegetables, seafood, spices and much more, your day of shopping in Barcelona will be complete with a visit to this ‘mercat’, one which dates all the way back to 1217! It goes without saying that you cannot leave Barcelona without a token of your time in the Catalan capital. Make your way to Las Ramblas where various stalls selling handmade arts and crafts can be found, as well as shops with plenty of typical Barça trinkets and mini Gaudí models. If you’re looking for something a little different, try Art Montfalcon at C/ dels Boters 4, where you can pick up some unusual BCN memorabilia. Metro stops: Drassanes (L3), Liceu (L3) Catalunya (L1 and L3). 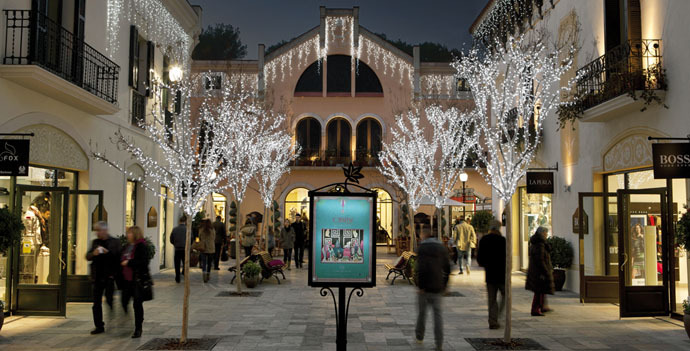 Situated in Costa Brava, just 40 minutes outside of bustling Barcelona, La Roca Village is an outdoor outlet mall offering some big discounts on top brands. 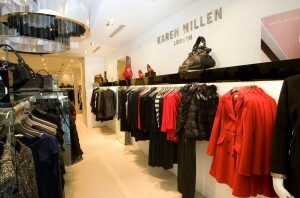 It has over 100 stores featuring top labels at reduced prices. To get there, simply hop on The Shopping Express, a private coach service running from the city center in Barcelona straight to La Roca Village. Be sure to check out www.larocavillage.com for more information. So, whether you’re indulging in a whole new wardrobe with a Spanish flair, acquiring some accessories for your favorite outfit or simply picking up that perfect present, Barcelona most definitely has something for you! Already been shopping in Barcelona? 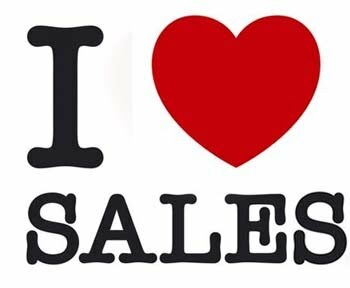 Drop us a comment and let us know where you think is the best place to shop! This entry was posted in Activities, Home, Places, Shopping and tagged barcelona activities, barcelona food and drink, Barcelona shopping, barcelona tourist guide, las arenas barcelona, maremagnum barcelona, shopping in Barcelona, things to do in barcelona, visiting barcelona. Bookmark the permalink.